Well, actually it was three widows in a cafeteria but you get the point. 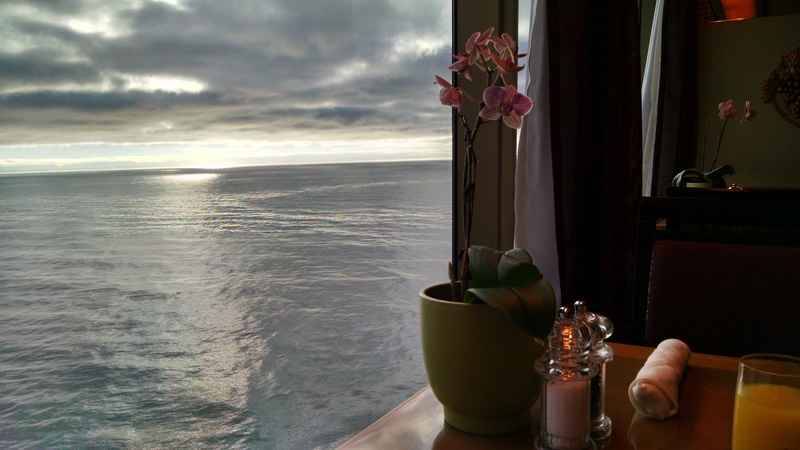 Recently while attending a conference onboard an Alaskan cruise I was looking for a seat in the casual dining room of the Lido deck. I saw a couple middle-aged ladies at a table for four and asked if I could join them. They welcomed me to their table and we began chatting. They were friends from Australia traveling with a tour group. They’d been in Canada and were on the cruise and then to California before returning home. When they asked about my trip I explained that I was attending a writing and publishing conference onboard the ship. When they asked what I was writing I told them I’m working on a memoir about building a life you love after losing the love of your life. “I was widowed six years ago and it’s only been two for her,” one of the women said. When I said that I had she began telling me of the many ‘after death communications’ she’d had from her late husband since he passed. One day she was getting dressed and heard music. Mozart. One of her husband’s favorite waltzes. She walked through the house trying to find where the music was coming from. She opened a window to see if it was from outside. It wasn’t. She didn’t find the source of the music but it seemed to follow her from room to room. Finally she just decided to dance. Waltzing alone, she danced for the remainder of the song and then the music stopped. “Well we had our dance,” she said, explaining to me that he’d said before dying that he wished they could waltz together one more time. How sweet! I know her heart was full that day as she went on with her plans. She continued telling me about other ADC’s like smelling her husband’s cologne from time to time and feeling him hold her at night. I love these stories because it’s fun to think that your loved one is still nearby and watching over you after they’ve passed. Especially the first year or two. I’ve never had anyone tell me about getting a message from the other side where it didn’t leave them feeling loved and comforted. I believe that the soul lives on after the body dies. Where are they and what are they doing? I don’t know but I like knowing that the love never dies. How about you? Have you had after death communications? If so I’d love to hear about them. You can comment on this post or email me at Myra@MyraMcElhaney.com.